As a salesperson, you’ll know that it often takes multiple follow ups to convert a cold lead into a hot one, and from a hot lead into an actual customer. The more prospects you have though, the trickier it can be to keep track of where you are with each one. With BluWave's customer conversation tracking software, you can keep accurate track of all email and telephone conversations you have with your prospects. In this way, you can pick up exactly where you left off each time you speak to them. Organise your companies by type, industry, area and group. 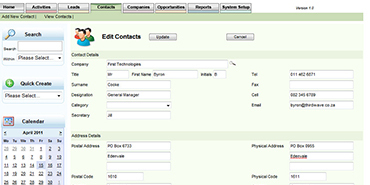 Customise the system for your business with User Defined Fields. Store any number of contact people per customer. You can also allocate customers to your branches, as well as specific sales staff within your branches. Sync with Microsoft Outlook to keep a trail of conversations via email by customer and by contact in your CRM system. 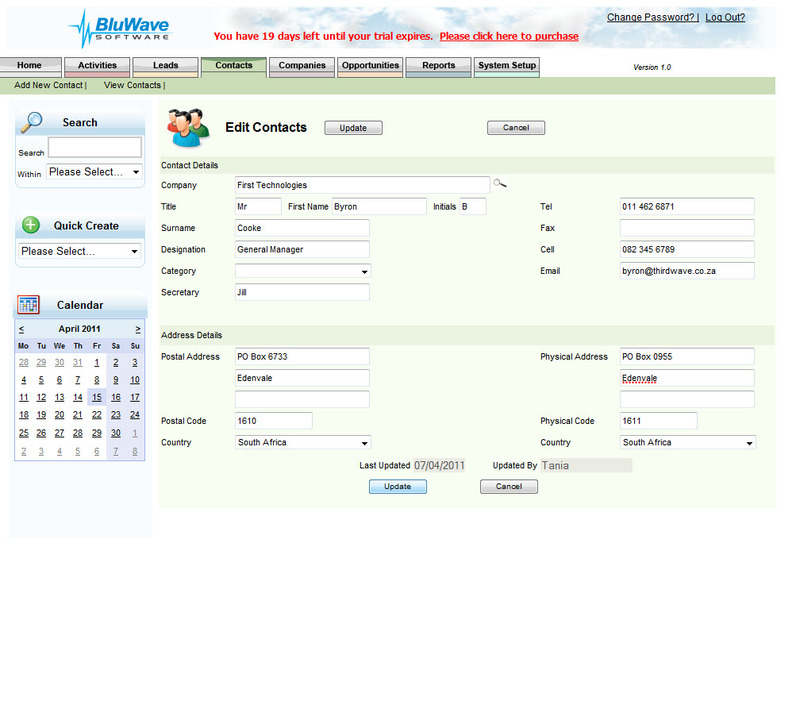 Want to know more about how you can seamlessly manage sales conversations with BluWave CRM? Contact us today.